This program provides the basic material needs of food and clothing to individuals and families. We work in conjunction with the Ladies of Charity's Nearly New Shop. This program also provides economic independence planning, mentoring, layettes for newborns, summer lunch and reading program, Thanksgiving baskets, food/toy/clothing program at Christmas, information and referrals. A full-time Coordinator, part time assistant, mentors and 50+ volunteers staff the program. Broome County families - with identification for all family members. Mother Teresa's Cupboard provides the basic material need of food to individuals and families in Western Broome County. It is a partnership with Catholic Charities and local churches in Endicott and Endwell. A part-time Coordinator and 25+ volunteers staff the program. Western Broome County families - with identification for all family members. Jessica Williams was a person who loved children. At the time of her passing in January 2010, she was just over 34 years of age. Jessica was on the threshold of achieving some of her greatest dreams as a result of persistence despite adversity in her life. While her passing was a tragedy to all who knew and loved her, her family refused to allow her death to become an ending. In February of 2010, Jessica's mother and step-father contacted Catholic Charities to initiate a new fund in Jessica's memory. The fund, Jessica's Corner, is aimed at assisting our families with daily essentials for their infants and small children. Diapers, bibs, baby wash, shampoo, onesies, and many more other items are distributed to families in need each week. Emergency children's clothing is also made available. 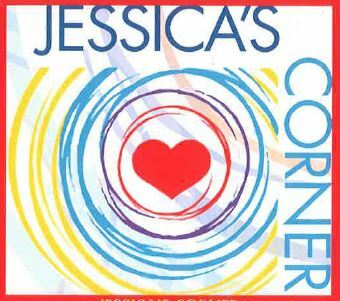 Hundreds of infants and small children will benefit from Jessica's Corner, a testament to her life and to the spirit of love she had for children. Jessica's Corner can be accessed at either of our food pantries, during normal busniess hours. Patrons of the pantry will be assessed for the need of Jessica's Corner items and offered the services; or those needing any of the items can walk in and make a request at any time.